In the rainforest in Naikoon Park on Graham Island in the Queen Charlotte Islands you will find a dreary looking bog where extraordinary plant life grows. A bog to most people is a pool of dirty water but to others it is considered a paradise. 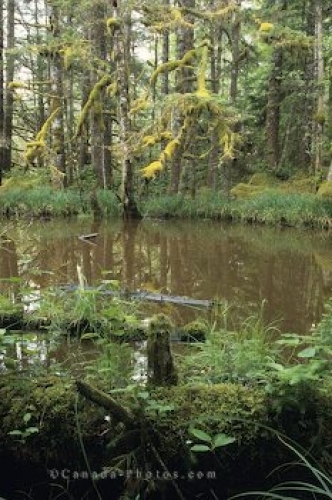 Picture of a bog in the rainforest on Graham Island, British Columbia, Canada.